A Mandarin speaker, Camille lived and worked in Beijing. She decided to return to Paris to focus on her three passions, tech, food, and travel. 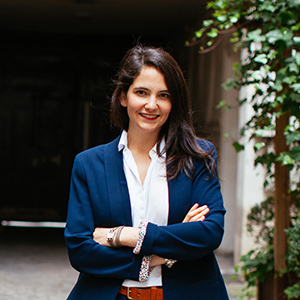 Camille met her business partner, Jean-Michel Petit, and founded Eatwith in July 2014. Eatwith connects local hosts with travelers seeking unique, immersive experiences. Now with more than 25,000 hosts in over 130 countries, Eatwith was selected by Apple as one of the top three apps of 2016.